A workshop for glass fusing, slumping och casting is located in a separate room. 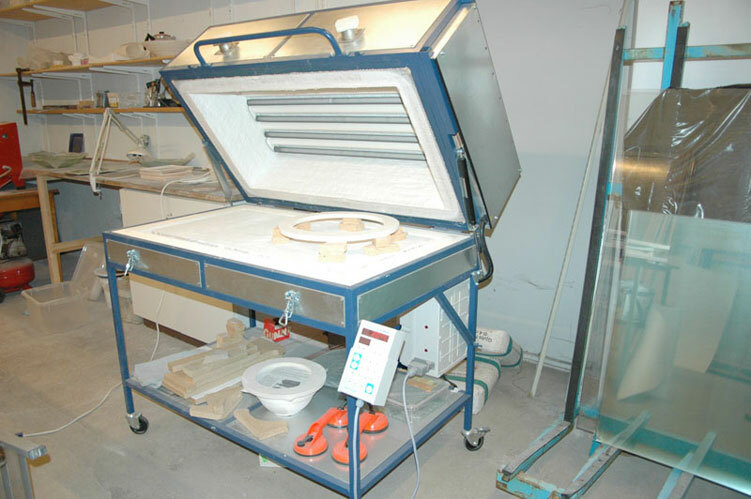 We have a glass kiln whith the bottom size 50 x 90 cm, equipped with an easy automatic system for temperature. Ordinary plain glass is in stock as well as many useful tools.